If you are looking for a clean and functional theme for your website, then you have come to the right place! This list of premium minimal WordPress Themes is created for website owners and bloggers who have high appreciation for minimalism. It gives you plenty of options to highlight your images to show off your portfolio or products. These days minimal design has become very popular as it removes the clutter and the distraction and helps you to focus on just the content that’s important to you. Many people prefer simplicity instead of sophisticated creations and put an extreme emphasis on contents. These types of themes are always in a content-focused and lightweight design getting rid of those superfluous. Whether you’re building a WordPress blog, portfolio, store, or corporate site, with the help of minimal design you can easily create a delightful experience for your customers. The minimal design is timeless, with plenty of whitespace, and clean site designs that can breath with simple elegance. Airi is a clean and simple premium minimal WordPress theme that is fully customizable using LA Framework. 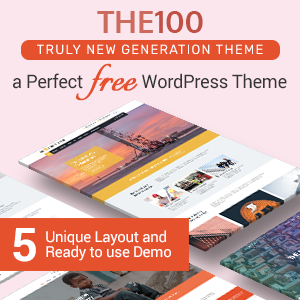 This theme has a powerful theme options panel and WordPress customize. It allows users to build various page layouts with minimum effort that helps to attract the number of visitors to your site. The theme is integrated with WooCommerce and provide lot of additional features. Bushwick is a unique portfolio WordPress theme, focused on minimalism, elegance and simplicity. 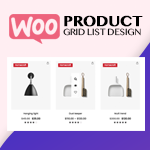 This theme is packed with a lot of useful features, options and shortcodes to offer the best solution for any type of website you like to create. With the help of this theme you can showcase any design, illustration, photo or product in a great way, leaving your visitors and buyers impressed with the awesomeness of your website! Proton is a high-quality creative WordPress theme with great style and clean code. 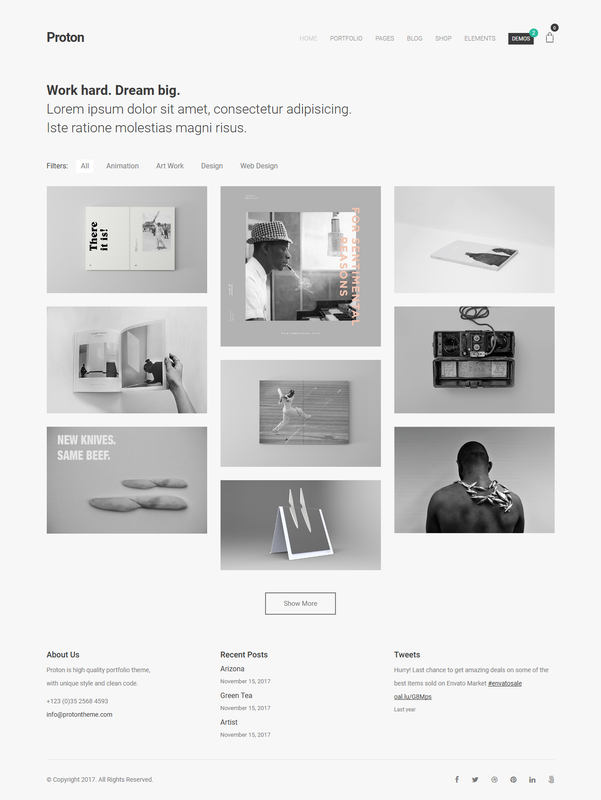 This theme can be used for many purposes starting from minimal portfolios, agencies, freelancers and much more. It is created and tested in all devices and works perfectly without a single issue. The theme comes with a detailed documentation that help to install and use the theme easily. 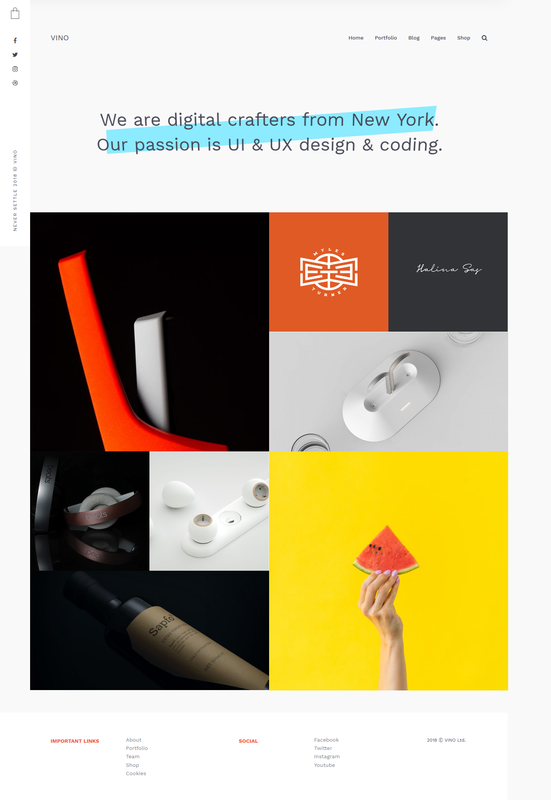 Collective is a great premium minimal WordPress theme perfect for graphic designers, web designers, architects, photographers, interior designers. 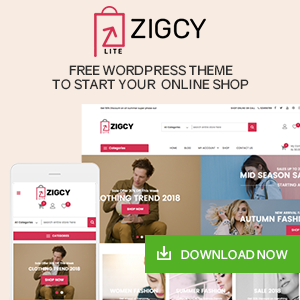 This theme is WooCommerce compatible that lets you start an online store easily. It comes with many awesome features that helps you to create a beautiful website perfectly. Vino is a minimal portfolio WordPress theme that can be used for all sort of websites. This theme is visually appealing and unique that helps to attract the number of visitors to your site. 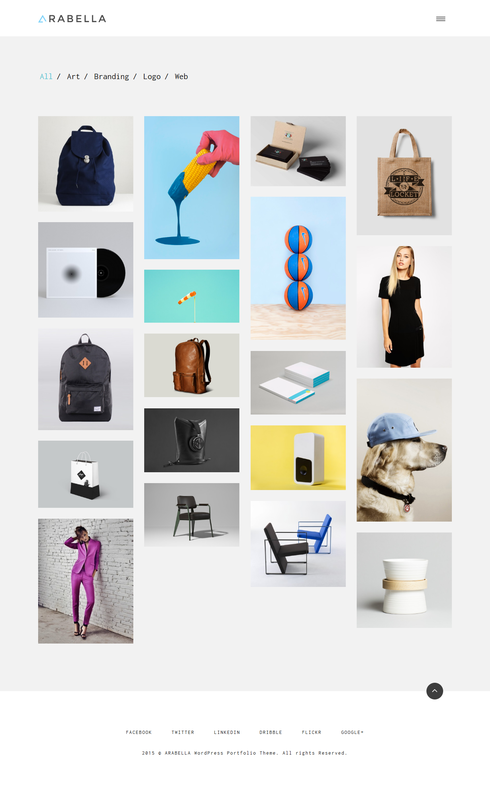 The theme comes with beautiful typography, subtle transitions, interesting use of navigation. 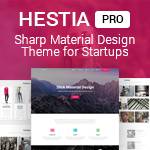 Helas is a fully responsive premium minimal WordPress theme that comes with many powerful and advanced features. This theme is integrated with awesome font icons so choose the font that you like on your site. It is well optimized theme that helps you to rank on the top of the Google. Raven is bold and creative minimal WordPress theme that is designed for those who want to build a site with a truly simple and elegant look. This theme comes with unlimited colors so use the color that you prefer on your site. And also the theme is perfect for all types of business too. It comes with an extensive help file to help you understand how it works. Mustang is a glorious and creative minimal multipurpose WordPress theme that is specially designed with minimal style. This theme comes with two types of homepage, one page and multi pages, and 10 variations of pages that makes it suitable for all types of businesses. The theme also includes Revolution Slider that displays your content in a beautiful way. Arabella is a premium minimal WordPress theme that is perfect solution for Web Designers, Graphic Designers, Architecture, Photography and any kind of creative people. This theme is is built on Bootstrap3 and packed with great features. It is simple, modern and responsive that has a superb eye-catching animations and make your visitors love you and your work. Futura is clean premium minimal blogging WordPress theme that is perfect for bloggers like personal or travel, hobby, tutorial blog, etc. This theme is fully responsive which fits on all the device of different size and also supports all type of post format. It is simple and it’s elegant. It includes many powerful features that helps you to create a unique website easily. 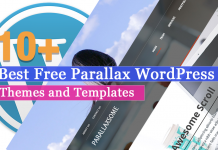 This is the article that includes some of the best Premium Minimal WordPress Themes. 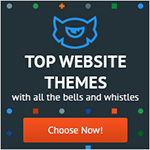 These themes come with many powerful features and beautiful design that helps to create a stunning site and attract the numbers of customers to your site easily. Next articleHow to add a social share button on WP website using Social Share WordPress Plugin? 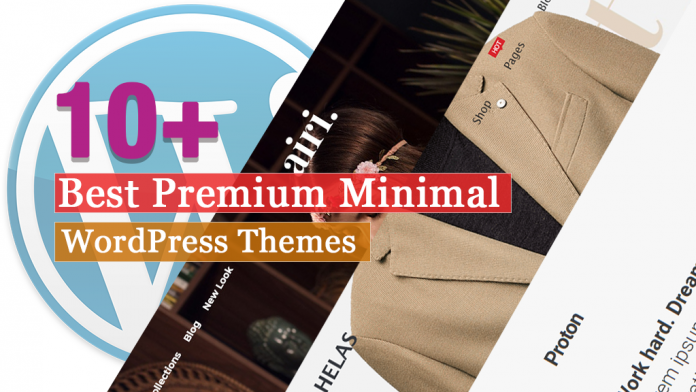 Hey Buddy!, I found this information for you: "10+ Best Premium Minimal WordPress Themes 2019". Here is the website link: https://wpallclub.com/best-premium-minimal-wordpress-themes/. Thank you.